Since half of all plastic comes in the form of single-use, disposable items that people don't really need, there's room to make a big dent in the flood of plastics that pose an increasing threat to the environment. LEWISTON — For a guy who wants to purge the world of a whole lot of plastic, Colorado scientist Michael SanClements is reasonably sympathetic to the stuff. 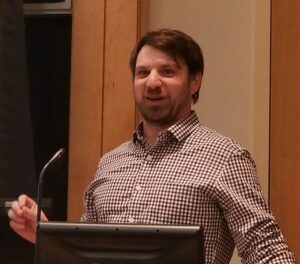 “It’s a miracle material,” SanClements told a crowd at Bates College on Monday that gathered to hear what they could do to minimize the use of plastic, which is one of the major environmental threats facing the planet. 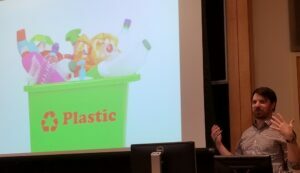 SanClements, who works at the National Ecological Observatory Network and as a faculty member of the University of Colorado Institute of Arctic and Alpine Research, said plastic is so cheap and useful that it’s worth thinking of it as an invasive species running rampant. Though he’s an expert in soil science with a keen interest in climate change, SanClements wound up delving into plastics because an editor asked him to come up with some kind of personal challenge and to write about it. He said he decided to try to go without plastic for two weeks. It turned out to be more challenging than he figured. SanClements said on the first day, he headed to the grocery store in Boulder to find something to eat for himself, his wife and his daughter. But as he stood there, he realized that just about everything came wrapped or packaged in plastic. They wound up eating one of the world’s worst homemade tortillas. 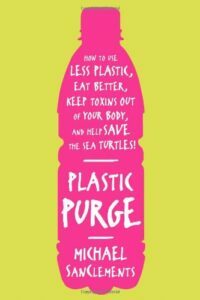 Cover of Michael SanClements’ Plastic Purge book. That six-part series for Grist.com caught the eye of St. Martin’s Griffin, a publisher, and before long SanClements began tackling plastic on a bigger scale. At one point, he said, he began filling a notebook with every plastic thing he touched during a day, from light switches to toothpaste caps. By day’s end, he had a list 30 pages long. SanClements discovered that plastic first made an appearance when a billiards company wanted a replacement for the ivory it had relied on to make the balls used in the game. They weren’t really interested in saving elephants, he added, just finding a cheaper way to create the balls. World War II proved the big boost that plastics needed to take off, he said, and when all that capacity for plastic production was no longer required for military products, manufacturers quickly found ways to sell it to consumers. Now the world uses 320 million metric tons of plastic annually. Bits of plastic debris float in the ocean – 51 trillion pieces, SanClements said – and Southeast Asian rivers deposit vast quantities of empty bottles into the sea every day. Nine out of 10 people, he said, have plastic residue in their bloodstream. Only about 9 percent of all the plastic gets recycled, he said, and even that poses challenges because it’s a tough material to sort properly. He mentioned children in India who are paid to burn some of it so they can sort it by its smell. He said, though, there is hope. First, he said, it’s important to remember that some plastic is good – used for life-saving medical devices, computers and lots more – and some isn’t worth trying to avoid. When he’s at a baseball game, SanClements said, he’s going to drink a beer in the plastic cup because that is his only option. “I’m not going to sit there and cry and not have beer,” SanClements said. But a lot of plastic isn’t valuable, he said, and half of it is “pretty simple stuff to get rid of” because it’s only used for a single purpose, like a water bottle or a straw. Those are things that humanity can do without, the scientist said. What’s more, SanClements said, it’s the kind of products where individual choice can make a difference. “I don’t think it’s depressing anymore,” he said. He offered a few ideas that almost everyone can adopt: reuse shopping bags, reuse coffee cups, get rid of plastic wrap and plastic containers, avoid “the middle aisles” at grocery stores where almost everything is packaged in plastic, skip canned foods that have plastic lining inside, replace plastic shower curtains with fabric ones, reject store receipts that are coated in dangerous plastic, use bar soaps and turn down straws. “Solutions aren’t super difficult,” he said. 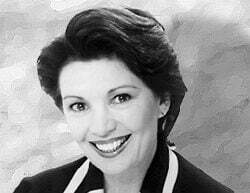 “We don’t want all our things to disappear,” just the ones we can do without. He said he likes to imagine the Plastic Age someday characterized with a display of something like a little multicolored elephant toy. “I think it’s funny to imagine crap like this in a museum someday,” SanClements said.